This swing was my wife's design. I just built it. 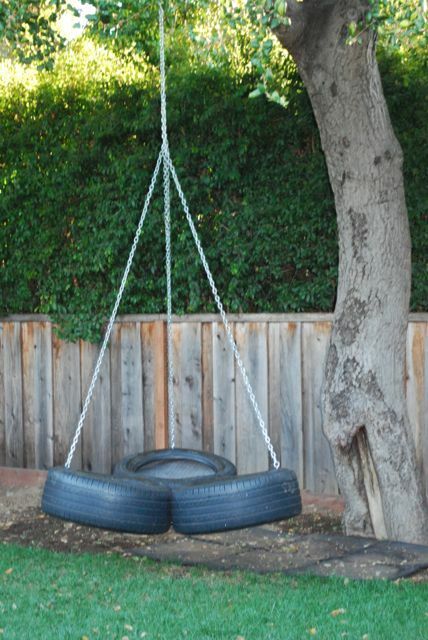 It is made from 3 old SUV tires and can comfortably hold 3 kids at a time. 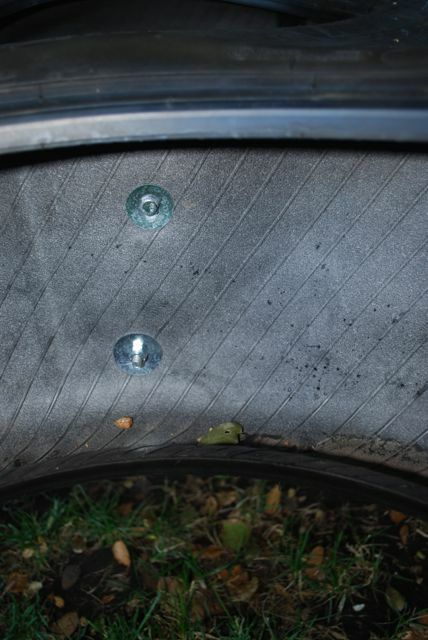 Each pair of tires is joined by two bolts. 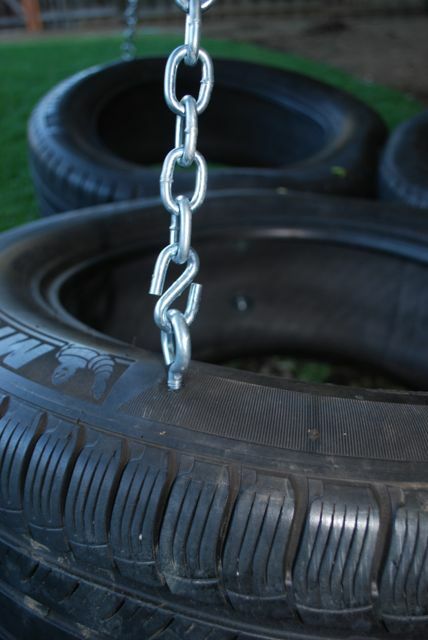 Each tire has an eye bolt on the top edge, linked to a chain by an S-hook. 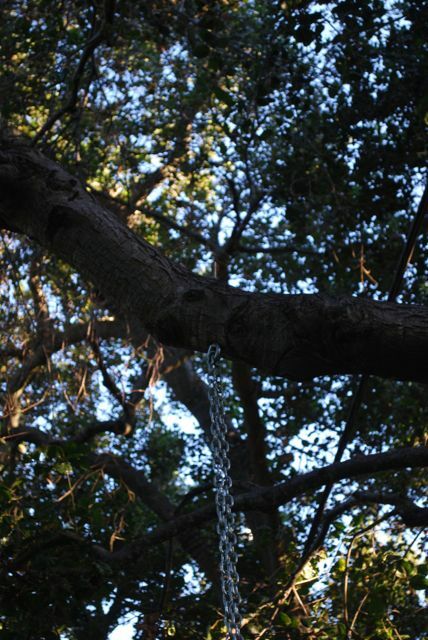 The top chain is suspended from a large eye bolt through a tree limb. Text and photos © Mike Cammarano, 2014, all rights reserved. Backgrounds from Subtle Patterns, CC BY-SA 3.0.